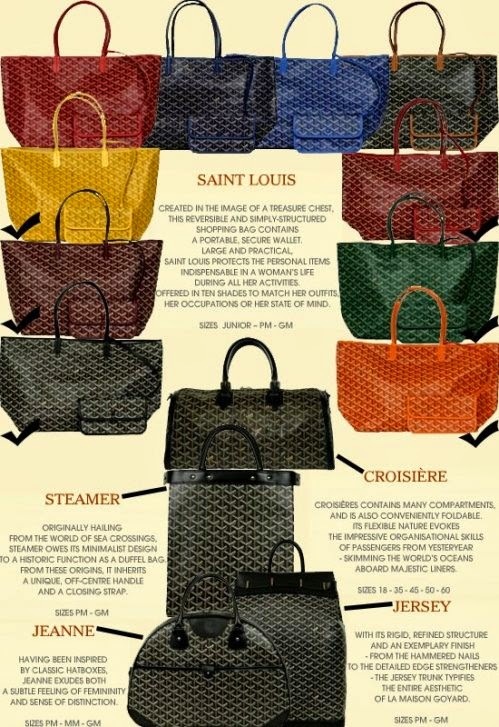 Maison Goyard, established in 1792 (under name House of Martin), is the oldest Parisian trunk maker still in business. 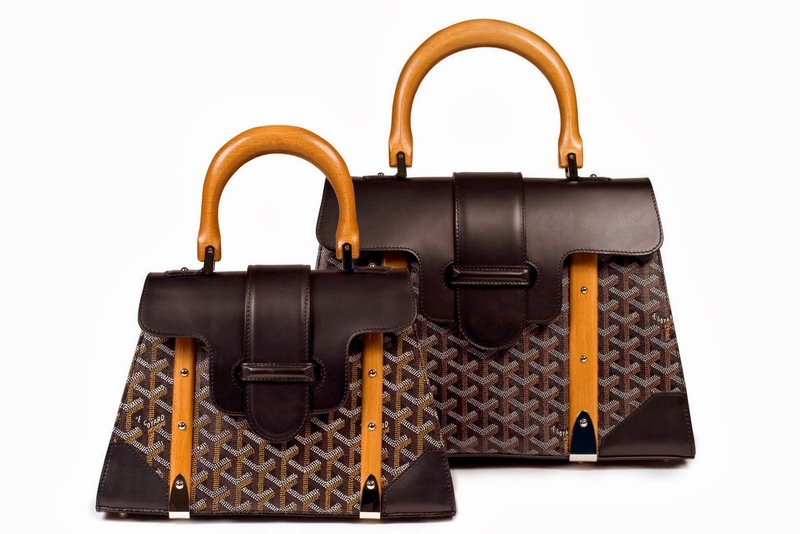 It has been passed down from generation to generation up until today under the successive names of Martin, Morel and finally Goyard. 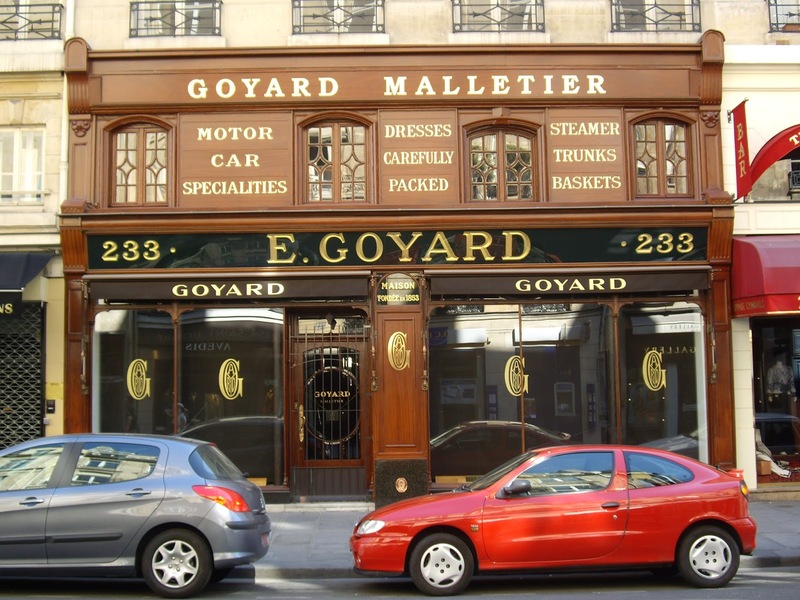 Gayard’s flagship store is located on 233 rue Faubourg St. Honoré in Paris since 1834.
what imaze me that i always thought that their bags are made of leather then i read that it is made of cloth. 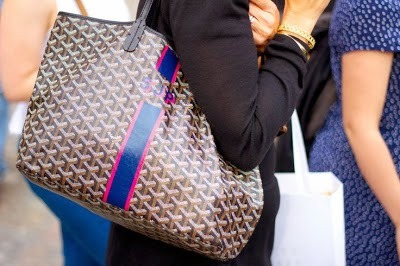 Goyard uses three plant fibres: hemp, linen and cotton. Hemp is particularly sought after for its hydrophobic qualities, linen is a fine thermal regulator, and the softness of linen probably caught the attention of the trunk maker. like all family secrets, the exact manufacturing of the Goyardine remain strictly confidential. though it was originally hand-painted, the current process requires a ground color application followed by three successive layers of etching colors that create its trademark slightly raised pattern. 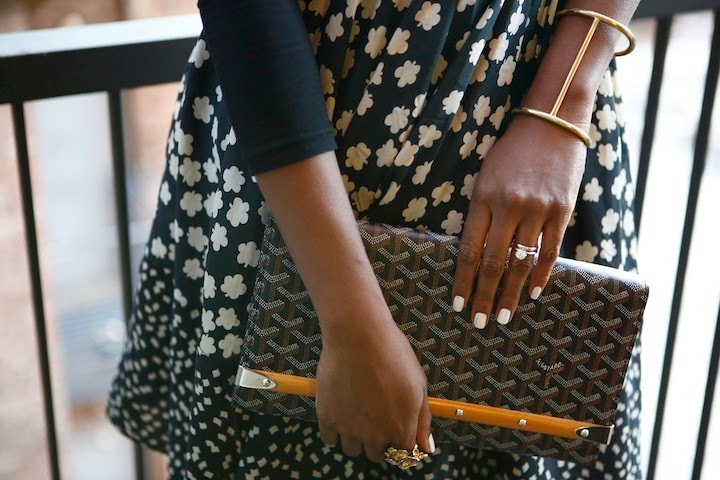 The dots on the fabric supposedly represent three chevrons juxtaposed to form a Y, the central letter in the Goyard family name. Edmond Goyard used the three chevrons of the letter Y to sign his canvas just like a painter would sign his painting: his name written in white is the only element that truly stands out, whilst the address of the Paris store is spelled in two different shades of brown, and “Paris” is repeated twice, and arranged in a centrally symmetrical stack. Edmond Goyard was the very first trunk maker to build his name into his canvas, and did so even before the year 1900. The piled up dot pattern was clearly inspired by the Goyard family history, and evokes their “Compagnon de rivière”(log drivers) ancestors. 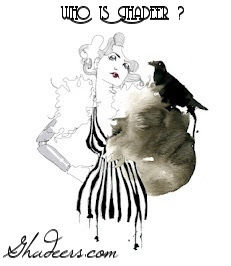 the first boutique they opened on 233-235 Rue Saint Honoré is still ! same location same shop !